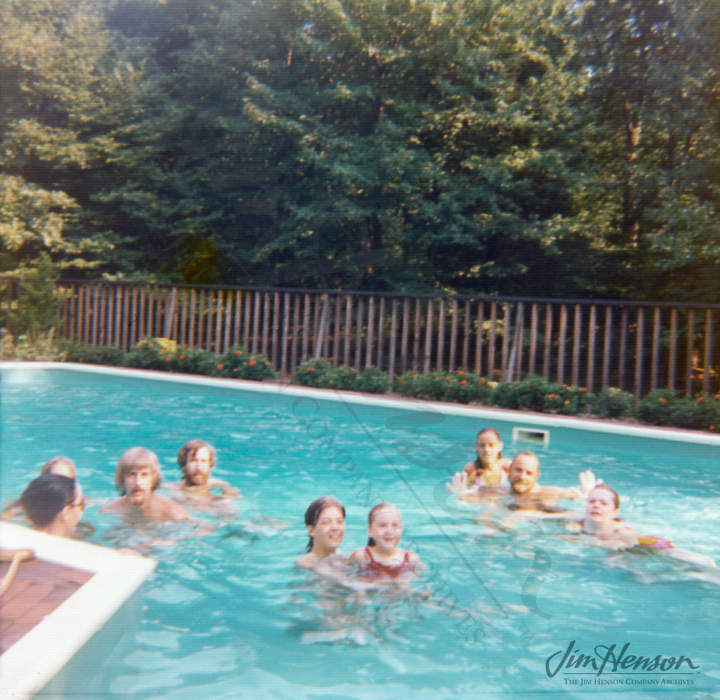 On July 8, 1975, construction started on a pool at the Henson home in Bedford, NY. Jim and his wife Jane enjoyed entertaining, so they were eager to invite their friends and colleagues over for a day of swimming and sunning as soon as the pool was ready. It was the kind of casual get-together that helped create comfortable connections and inspired laughter and silliness. 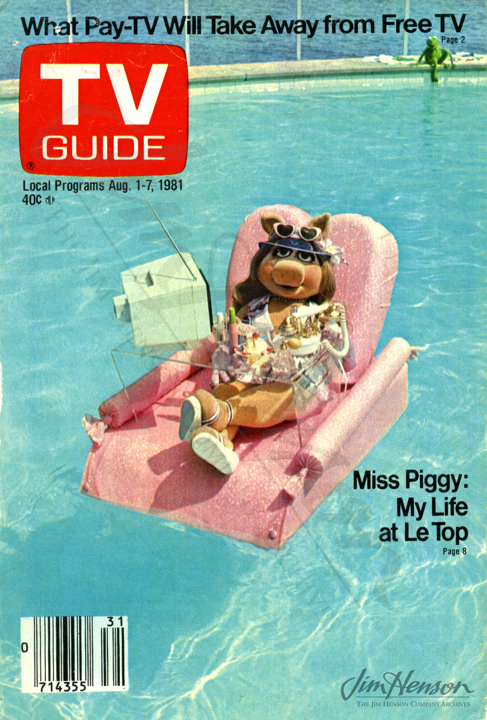 The Hensons hosted their friends at their Bedford pool in the ensuing years, and when they spent the summer of 1978 in a house on Mulholland Drive in Los Angeles during The Muppet Movie shoot, they invited the cast and crew over to enjoy the pool there. 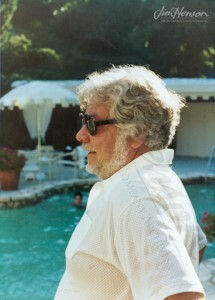 Enjoying the pool at the Hensons’ Bedford home, 1976. Puppet builder Rollie Krewson is in front on the right. Bernie Brillstein by the pool at Jim’s Mulholland Drive house, 1978. 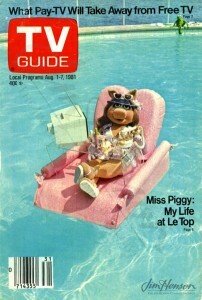 Miss Piggy enjoying the pool on the cover of TV Guide, August 1-7, 1981. This entry was posted in 08-August '75, 1975, Family, Social and tagged Bedford, New York, Pool Party. Bookmark the permalink.